Fabulous service, nothing was too much trouble! I even got the time of the party wrong and was able to change delivery at the last min (fortunately!) I highly recommend Laken, friendly easy service with great communication! Inflatable Bouncy Castle Hire Horncastle, Coningsby, Boston, Sleaford, Spalding, Old Leake and all surrounding Villages. Suitable for children up to 12 years old. Unisex two-tone blue theme bouncy castle, suitable for garden parties, hall hires, fetes and fairs, school events and more. 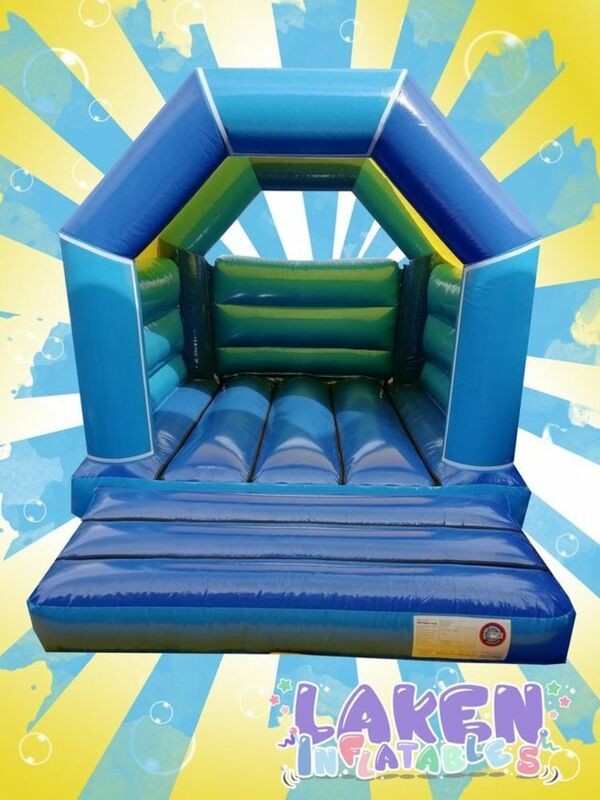 The kids will be thoroughly entertained with our hire shine two-tone blue castle with yellow rain cover / Sun cover, watch your little ones jump and have a bouncing good time and show you their impressive jumping skills.